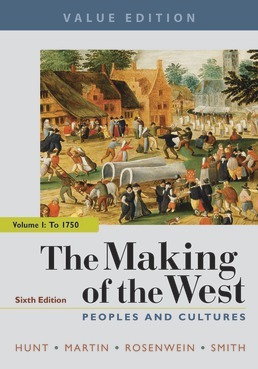 Designed with students in mind, The Making of the West, Value Edition has all of the tools you will need to understand the cross-cultural, global exchanges that shaped Western history. Purchase the package with LaunchPad to get the most comprehensive set of tools to help you study, including adaptive quizzing, flashcards, and more, or buy the package with Achieve Read & Practice for the most affordable way to get the adaptive quizzing tool alone, which will help you learn the fundamentals covered in the text. Volume 1 includes Chapters 1-17. NOTE: LaunchPad material that does not appear in the print book – including guided reading exercises, source feature quizzes, LearningCurve adaptive quizzes, summative quizzes, all of the documents from the companion reader – has been labeled on this table of contents as shown. Each chapter in LaunchPad also comes with a wealth of additional documents, videos, key terms flashcards, map quizzes, and much more, all of which can be easily integrated and assigned. 1. Early Western Civilization, 400,000–1000 B.C.E. From the Stone Age to Mesopotamian Civilization, 400,000-1000 B.C.E. The Emergence of Cities in Mesopotamia, 4000–2350 B.C.E. Metals and Empire Making: The Akkadians and the Ur III Dynasty, c. 2350–c. 2000 B.C.E. The Achievements of the Assyrians, the Babylonians, and the Canaanites, 2000–1000 B.C.E. Egypt, the First Unified Nation, 3050–1000 B.C.E. From the Unification of Egypt to the Old Kingdom, 3050–2190 B.C.E. The Middle and New Kingdoms in Egypt, 2061–1081 B.C.E. The Hittites, the Minoans, and the Mycenaeans, 2200–1000 B.C.E. The Violent End to Early Western Civilization, 1200–1000 B.C.E. Mapping the West: The Violent End to Early Western Civilization, 1200–1000 B.C.E. Chapter 2. Near East Empires and the Reemergence of Civilization in Greece, 1000–500 B.C.E. From Dark Age to Empire in the Near East, 1000–500 B.C.E. The New Empire of Assyria, 900–600 B.C.E. The Neo-Babylonian Empire, 600–539 B.C.E. The Persian Empire, 557–500 B.C.E. The Israelites, Origins to 539 B.C.E. The Reemergence of Greek Civilization, 1000–750 B.C.E. The Creation of the Greek City-State, 750–500 B.C.E. Trade and "Colonization," 800–580 B.C.E. New Directions for the Greek City-State, 750–500 B.C.E. Oligarchy in the City-State of Sparta, 700–500 B.C.E. Tyranny in the City-State of Corinth, 657–585 B.C.E. Democracy in the City-State of Athens, 632–500 B.C.E. New Ways of Thought and Expression in Greece, 630–500 B.C.E. Mapping the West: Mediterranean Civilizations, c. 500 B.C.E. Chapter 3. The Greek Golden Age, c. 500–c. 400 B.C.E. Wars between Persia and Greece, 499–479 B.C.E. From the Ionian Revolt to the Battle of Marathon, 499–490 B.C.E. The Great Persian Invasion, 480–479 B.C.E. Athenian Confidence in the Golden Age, 478–431 B.C.E. Radical Democracy and Pericles’ Leadership, 461–431 B.C.E. The End of Athens’s Golden Age, 431–403 B.C.E. The Peloponnesian War, 431–404 B.C.E. Athens Defeated: Tyranny and Civil War, 404–403 B.C.E. Mapping the West: Greece, Europe, and the Mediterranean, 400 B.C.E. Chapter 4. From the Classical to the Hellenistic World, 400–30 B.C.E. Classical Greece after the Peloponnesian War, 400–350 B.C.E. The Execution of Socrates, 399 B.C.E. The Rise of Macedonia, 359–323 B.C.E. Macedonian Power and Philip II, 359–336 B.C.E. The Rule of Alexander the Great, 336–323 B.C.E. The Hellenistic Kingdoms, 323–30 B.C.E. Mapping the West: Roman Takeover of the Hellenistic World, to 30 B.C.E. Chapter 5. The Rise of Rome and Its Republic, 753–44 B.C.E. Roman Society under the Kings, 753–509 B.C.E. The Early Roman Republic, 509–287 B.C.E. Expansion in Italy, 500–220 B.C.E. Wars with Carthage and in the East, 264–121 B.C.E. The Gracchus Brothers and Violence in Politics, 133–121 B.C.E. Marius and the Origin of Client Armies, 107–100 B.C.E. Sulla and Civil War, 91–78 B.C.E. Julius Caesar and the Collapse of the Republic, 83–44 B.C.E. Mapping the West: The Roman World at the End of the Republic, 44 B.C.E. Chapter 6. The Creation of the Roman Empire, 44 B.C.E.–284 C.E. From Republic to Empire, 44 B.C.E.–14 C.E. The Creation of the Principate, 27 B.C.E.–14 C.E. The Perpetuation of the Principate after Augustus, 14–180 C.E. Life in the Roman Golden Age, 96–180 C.E. From Stability to Crisis in the Third Century C.E. Uncontrolled Spending, Natural Disasters, and Political Crisis, 193–284 C.E. Mapping the West: The Roman Empire in Crisis, 284 C.E. Chapter 7. The Transformation of the Roman Empire, 284–600 C.E. 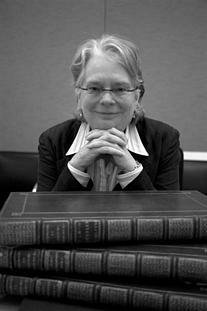 Lynn Hunt (PhD., Stanford University) is Distinguished Research Professor at University of California, Los Angeles. She is the author or editor of several books, including most recently Writing History in the Global Era; The French and Revolution and Napoleon: Crucible of the Modern World and History: Why It Matters. 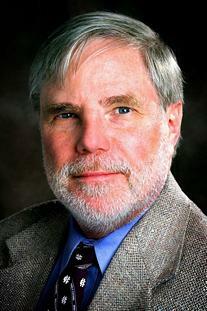 Thomas R. Martin (PhD., Harvard University) is Jeremiah O’Connor Professor in Classics at the College of the Holy Cross. He is the author of several books including Ancient Greece and Ancient Rome, and most recently Pericles: A Biography in Context. He was one of the originators of the Perseus Digital Library (www.perseus.tufts.edu). 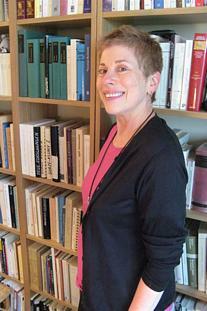 Barbara H. Rosenwein (PhD., University of Chicago) is professor emerita of history at Loyola University Chicago and has been visiting professor at the Universities of Utrecht (Netherlands), Gothenburg (Sweden), and Oxford (Trinity College, England). She is the author or editor of many books, including A Short History of the Middle Ages and, with co-author Elina Gertsman, The Middle Ages in 50 Objects. 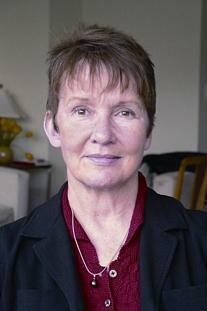 Bonnie G. Smith (PhD., University of Rochester) is Board of Governors Professor of History at Rutgers University. She is author or editor of several books including The Gender of History: Men, Women and Historical Practice; The Oxford Encyclopedia of Women in World History; and Modern Empires. A Reader. Currently, she is studying the globalization of European culture and society since the seventeenth century.